His desire to excel in shoulder and upper limb surgery led him to undertake a one year fellowship in the world leading Alps Surgery Institute in Annecy, France. 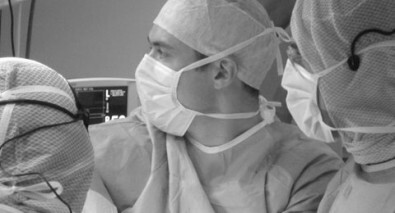 This enables him to offer the most advanced techniques in shoulder surgery with particular expertise in shoulder instability (dislocations), rotator cuff disorders, labral lesions, frozen shoulders and arthritis. He further consolidated this experience with a year at the internationally renowned Wrightington Upper Limb unit. Simon has maintained research links with Annecy and colleagues throughout Europe and America and regularly publishes articles, book chapters and lectures on shoulder disorders and their treatment. As a result of his collaborative work, he was awarded the Mel Post award for Clinical Excellence in Research by the American Academy of Orthopaedic Surgeons (AAOS) and the American Shoulder and Elbow Society (ASES) in 2012. Simon’s practice is based in York, Harrogate and Leeds where he can be seen via a GP or Physiotherapist referral. "My shoulders are now pain free for the first time in years." "Since surgery I have returned to full training and feel completely restored. Couldn't be happier with Simon's overall skills, performance and manner."